I received the Pop Beauty Bright Up Your Life Eye Shadow Trio in my December Ipsy. This is a great little trio palette. The colors are dark and the payoff is good. They are pretty glittery, and are good for a party or evening look. The only gripe I had was that they colors started to slide on the sides and on the bottom after a few hours. 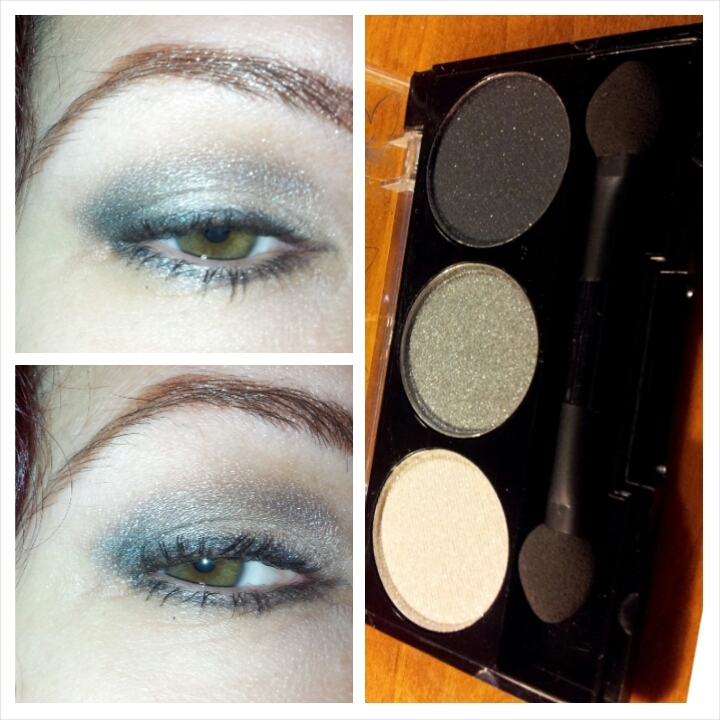 I wore the look with the NYX HD Eye Shadow Base. It wasn’t awful and I wouldn’t not recommend this product for that reason. I don’t see the trio on their website anymore, but you can get a 12 shade palette for $24.00, so essentially it’s $2.40 per shade. Not a bad value. 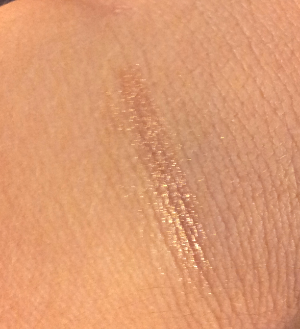 I will try again with the Urban Decay Primer Potion to see if it grabs it more. How do you like Pop Beauty? Lime Crime -Vegan/Cruelty free lipstick in EVERY color. These lip colors are not for the faint of heart. They are bold, exciting and beautiful. Ulta – 20% off entire purchase coupon!!! 20% off all your items – even high end products like Stila, Urban Decay, Benefit, Tarte, Butter, Two Faced, etc. You can use this in-store or online! 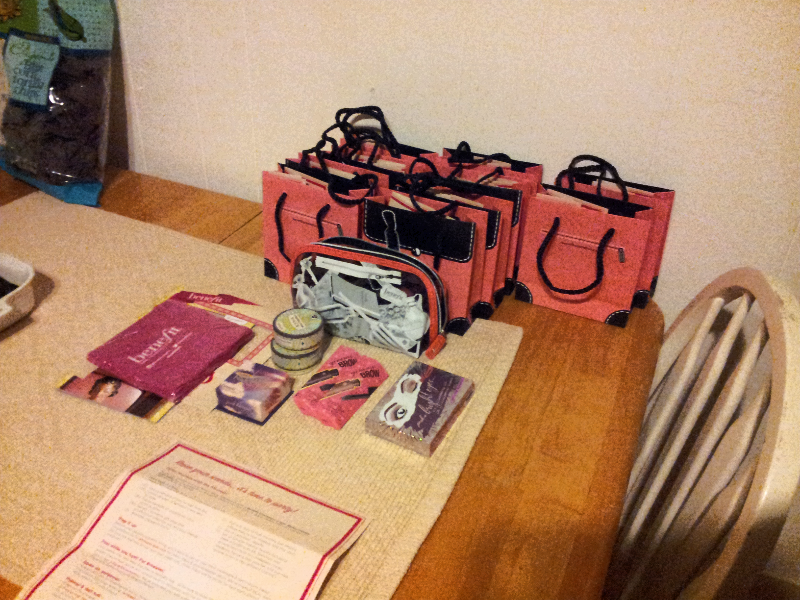 This feels like the best Glam Bag since I signed up. 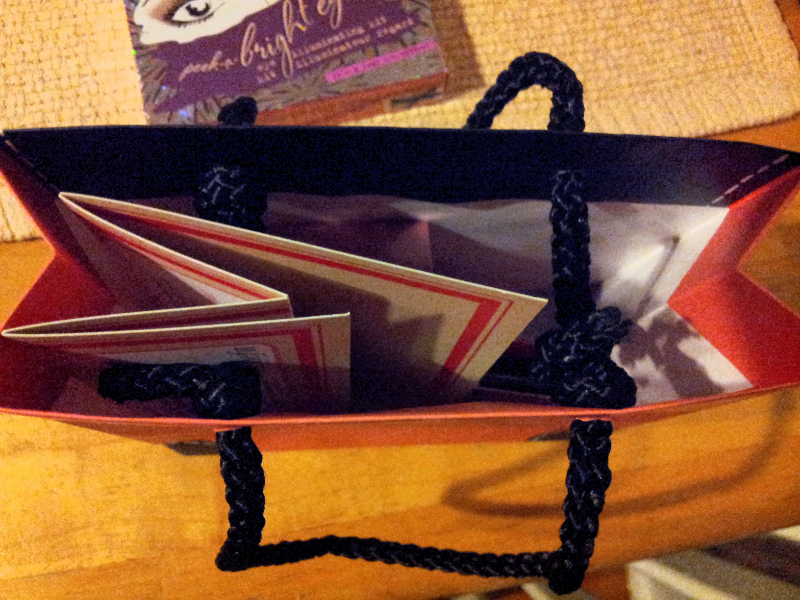 It was bursting at the seams! 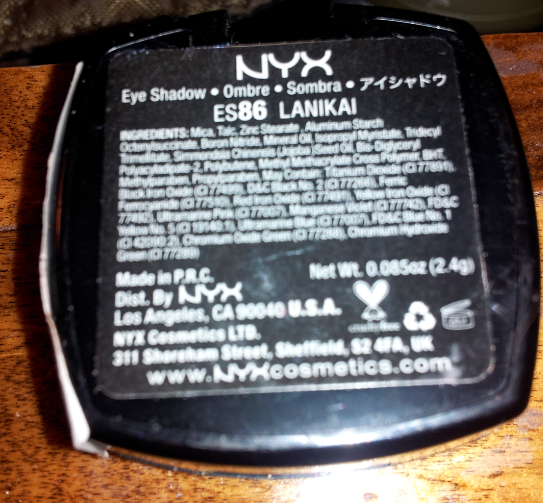 NYX Single Eye Shadow in Lanikai was in my September Ipsy Glam Bag. There is probably no way in the world would I have picked this out myself. It looks crazy blue, right?! 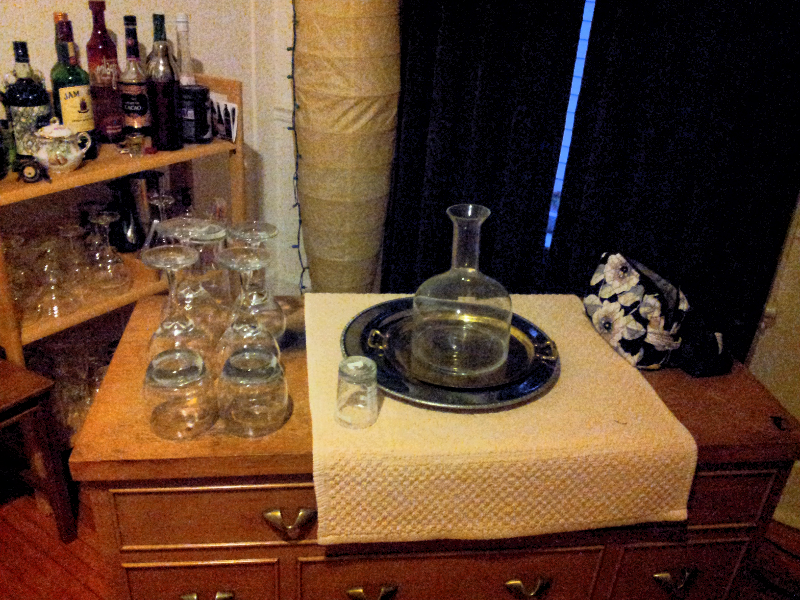 It’s slightly more subdued in person. Although this is blue, it is surprisingly wearable. Check it. On my skin, it is like a greyish blue. I actually wore it to work today, and it doesn’t look too insane. I’m wearing the Elizabeth Mott It’s So Big Mascara. Also, check out my faux side swept bang look. A few weeks ago, one of your Fairy Godmothers attended a wonderful soiree full of makeup and wine, and all kinds of girly makeup talk. 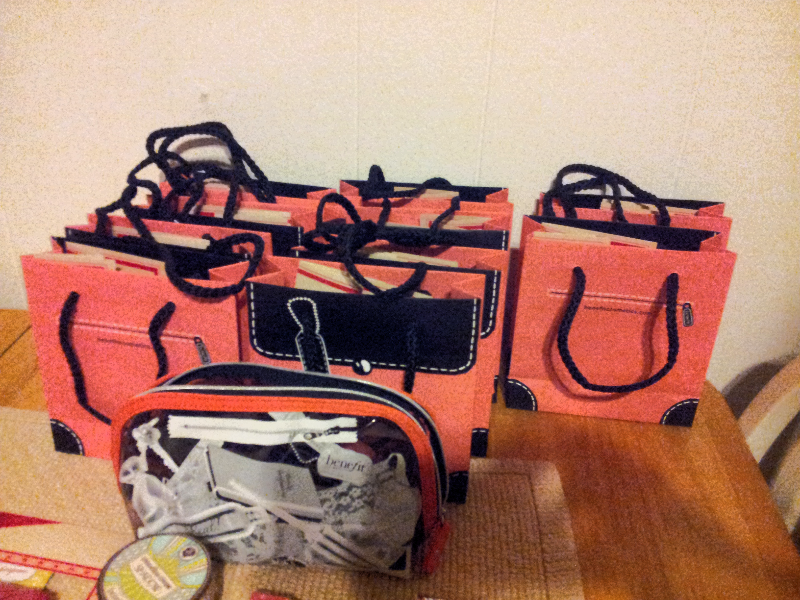 Goodie bags! 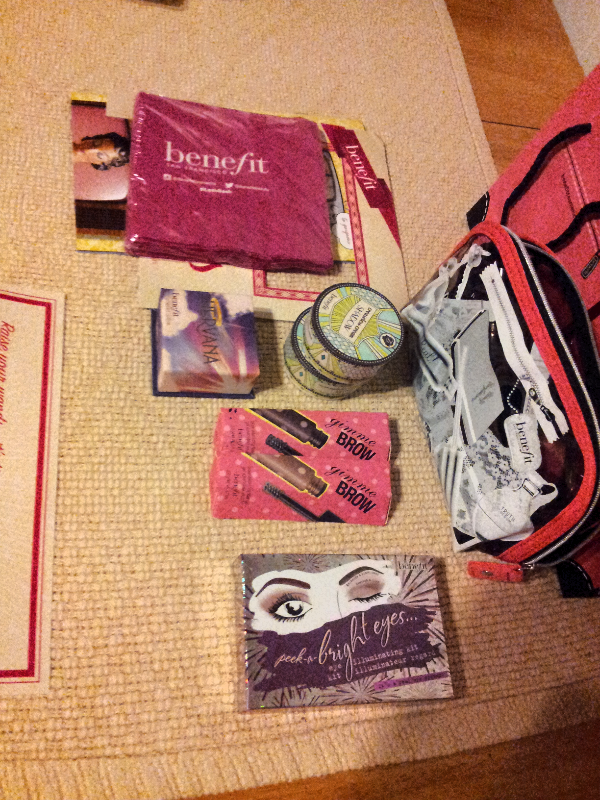 And products to play with!!! Gimmie Brow! Creaseless Cream Shadow! Sugarbomb tastes and smells so fantastic!!! I can’t wait to review all these in the coming weeks!!! 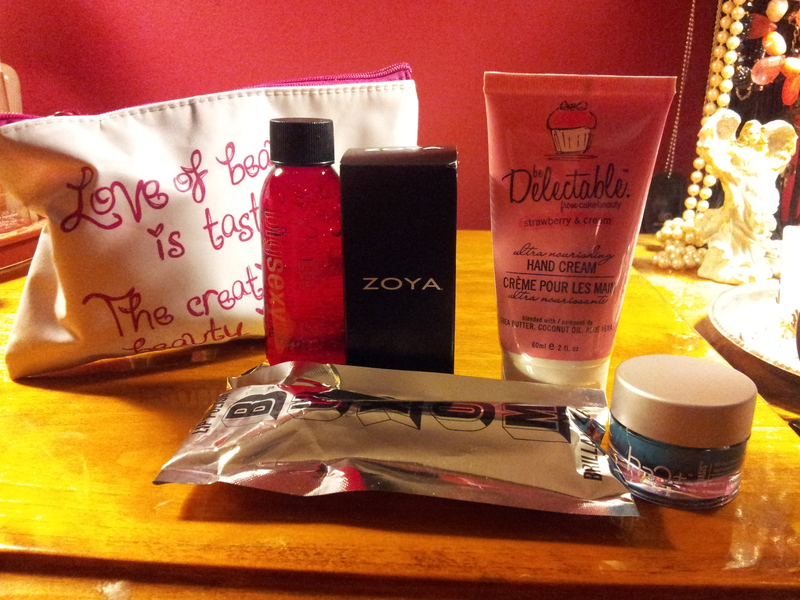 Thank you Ipsy Glam Bag for September 2013! I received a Starlooks lip liner in a previous Glam Bag, and I was happy with it. It was smooth and creamy, and didn’t chalk or flake. BUT, eye liner is a whole different ball game. And I was hoping that the Starlooks Obsidian Kohl Eye Pencil would live up to the high standards of its lip liner cousin. Dramatically emphasize your eyes with Starlooks’ intensely-pigmented Kohl Eye pencils! These ultra-soft liners glide across delicate lids without pulling. 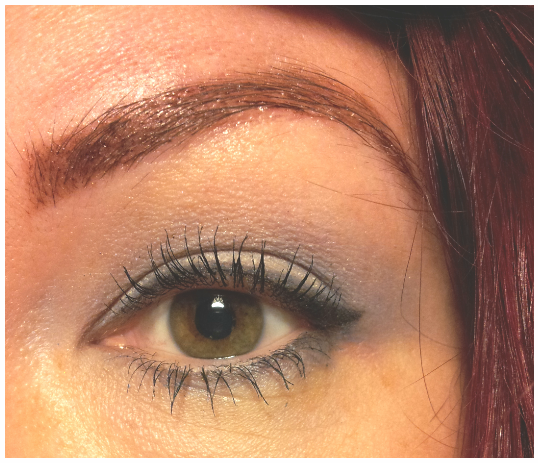 Try a smokey effect by blending outwards with a fluffy brush! Each extremely creamy Kohl Liner can also be used as a base on the entire lid. Impossible to choose between 10 stunning and super saturated shades! This is a really nice dark rich black. It lives up to every promise the company makes! It’s smooth, it’s soft, and it lasts. This is a corporate work look, so I did’t go very heavy. 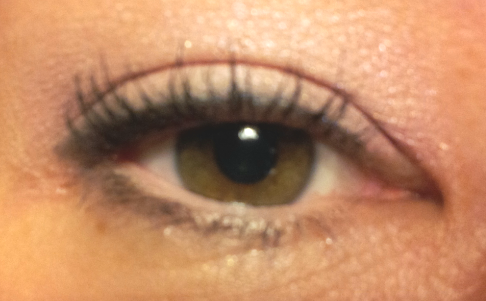 I used the Obsidian Kohl Eye Pencil on the top and bottom lids. I’m also wearing a light pink eye shadow on the lids. 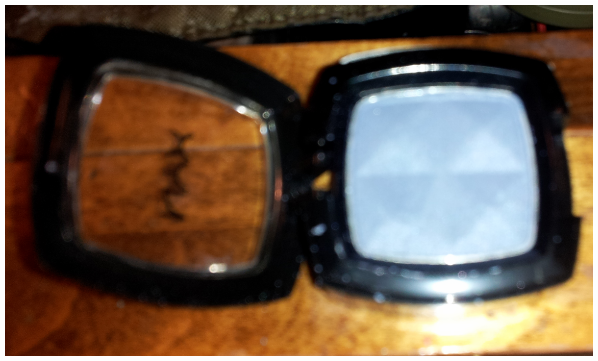 I’ve work it without eye shadow as well, and with my NYX HD Primer it stays on pretty well. 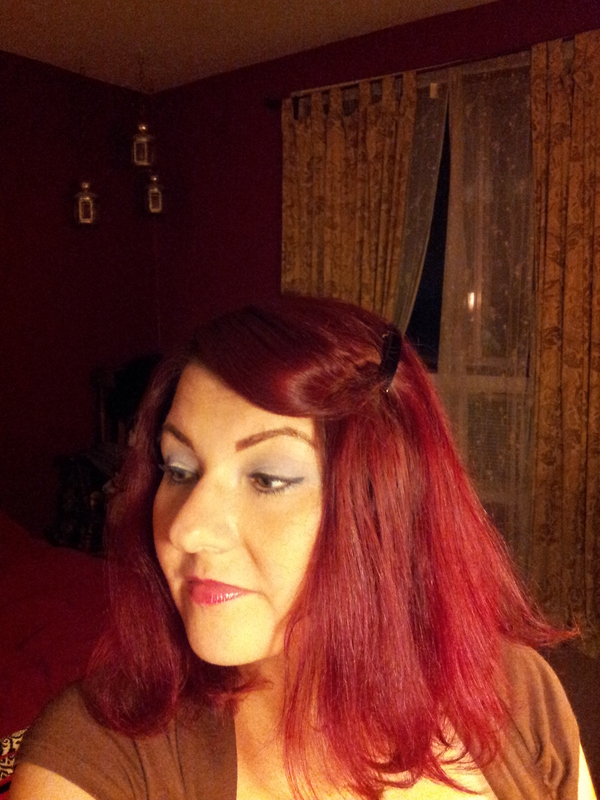 However, the eye shadow holds in in place a bit better. BUT, I have really oily eye lids. If you are not me, this probably wouldn’t be an issue for you. I was hoping they carry the liner in purple, but no luck. What’s your favorite eye liner? I received the MicaBeauty Mineral Eyeshadow in Bronze in my August Ipsy Glam Bag. I mean when I say this was my favorite Glam Bag since I became a subscriber in June. I have loved everything in it! 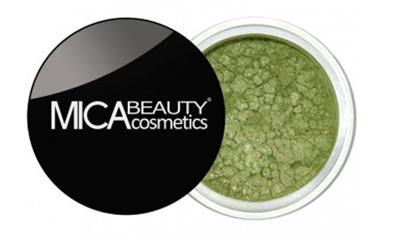 MicaBeauty Mineral Eyeshadows are extremely gentle, free of preservatives, chemicals, dyes, talc, oils, and other fillers. With this unique formula, the eyeshadows will look ultra smooth and stay put for hours without creasing or pulling the delicate eye area. Can be mixed with clear lip-gloss, clear mascara, and clear nail polish to add pigment to lips, eyelashes and nails! 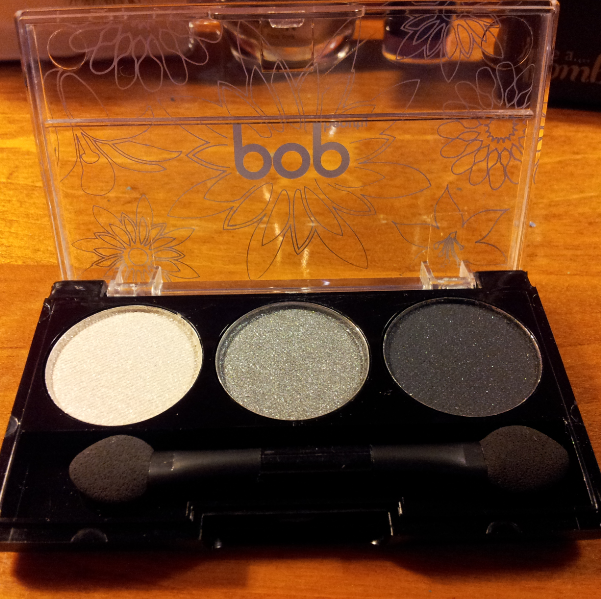 I am a fan of mineral shadows, so I was excited to receive this one. They are natural and chemical free!!!! I normally get them from Etsy and sadly the quality really varies. I was curious how my Etsy finds would hold up next to a larger line. 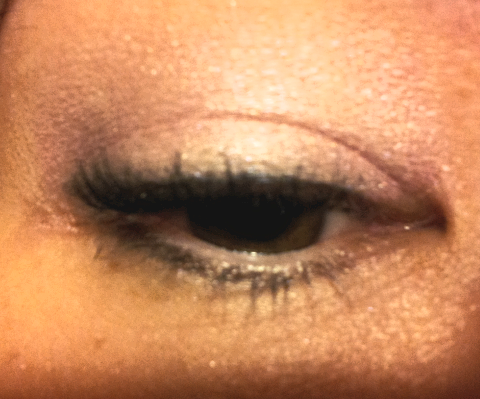 I used it with my NYX HD Primer and NYX Natural Pallette. 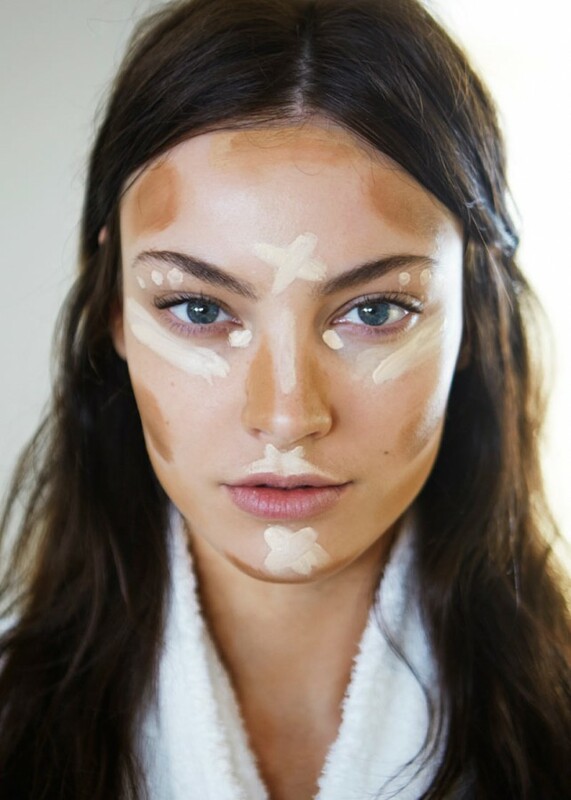 I like to put on a base of a light shadow before i apply any minerals. I feel like that helps to adhere it better to my eye lids and also makes the color pop more. 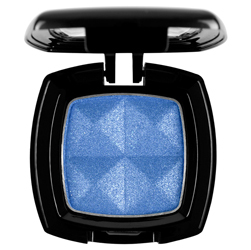 The color isn’t super shimmery and it can easily be worn to work if applied with a light hand. As you can see from the pictures above, it really is very light on the skin. It looks a lot darker in the pot than when applied. However, it builds well so you can go darker. It also works well over a darker shadow to add extra dimension. 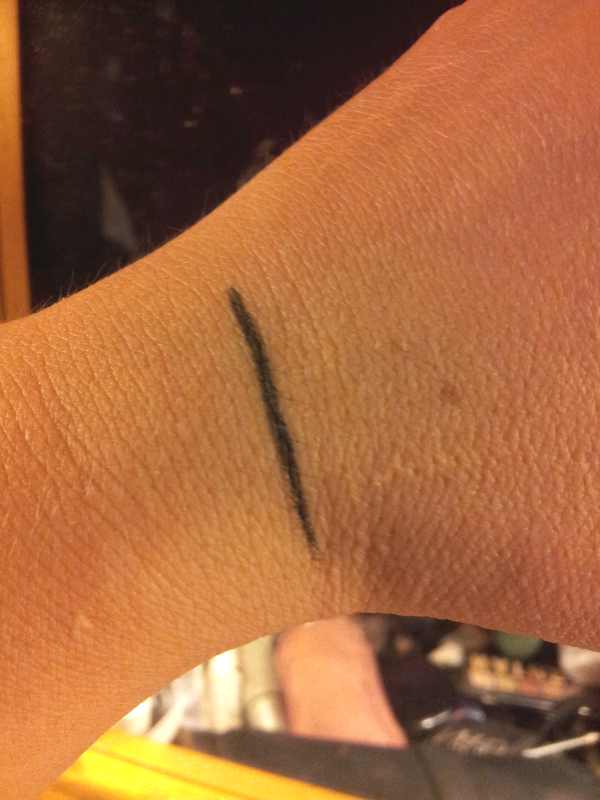 It lasted all night, and the color didn’t fade. These retail for $14.95 USD, so they are not super cheap but aren’t super expensive. 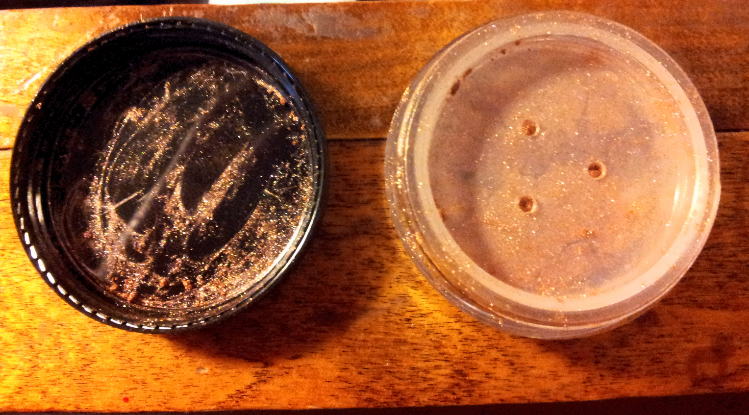 If you’ve never used mineral shadows before, these will last you a while. I wish they had more colors in their collection!! They do however have couple of pinks and a green I like. I’m also curious about using them on the lips to add more dimension. This is where the pinks would come in handy. Sidenote to Kassi – you may be really interested in this one. Go get you some, girl! Sale Alert! Forever 21. Okay, not makeup…but we love F21! Everything for this season looks like Aria from Pretty Little Liars! What? You’re not watching PLL? You.are.missing.out.